Radiolab asks what makes us laugh – and does humour have that much to do with it? 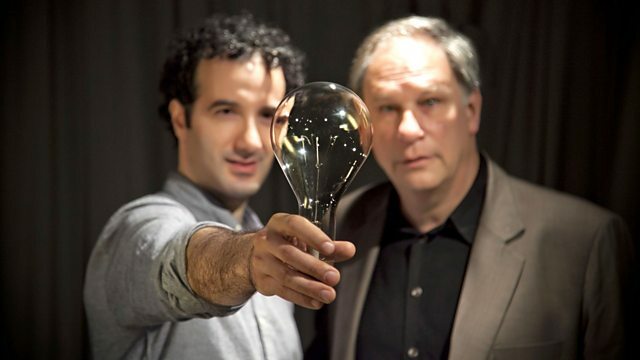 With Jad Abumrad and Robert Krulwich. Aristotle thought that laughter is what separates us from the beasts, and that a baby does not have a SOUL, until the moment it laughs for the first time. Historian Barry Sanders, author of Sudden Glory, says that according to Aristotle, this moment of "human ensouling" is supposed to happen when a baby is 40 days old. We follow radio producer Amanda Aronczyk as she tests this theory on her newborn baby. Then we go to Bowling Green State University in Ohio, to tickle rats with psychobiologist Dr. Jaak Panksepp. It's his notion that laughter is found all across the animal kingdom. Boom, Aristotle! Then Dr. Robert Provine, author of Laughter: A Scientific Investigation, shows us chimps who seem to be laughing. And we travel to Tanzania to investigate an outbreak of contagious laughter. First broadcast in the USA in 2008.